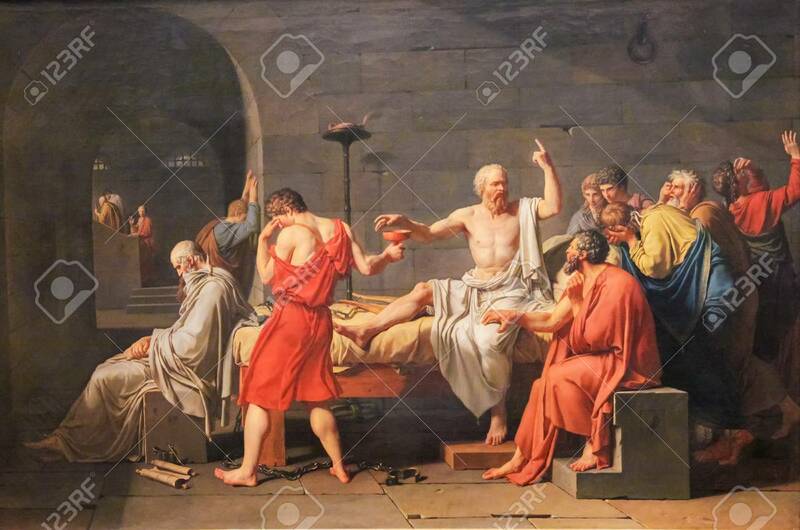 The Death Of Socrates (French: La Mort De Socrate) Is An Oil On Canvas Painted By French Painter Jacques-Louis David In 1787. Lizenzfreie Fotos, Bilder Und Stock Fotografie. Image 111811285. Standard-Bild - The Death of Socrates (French: La Mort de Socrate) is an oil on canvas painted by French painter Jacques-Louis David in 1787.